I am the only one in my family that is not a citizen of the Slovak Republic. Jana has Slovak citizenship because she was born in Slovakia and thanks to her so do Elisabeth and Max. All of them also have US citizenships. Jana became a citizen of the United States just a few weeks after Elisabeth was born and since Slovakia recognizes dual citizenship she did not lose her Slovak citizenship by becoming a citizen of the United States. So far this has been very nice. It makes it very easy for us to move back and forth from living in the States to living in Slovakia. For them it’s just a matter of keeping their passports up to date and as for me–I have the opportunity for permanent residence in Slovakia. I can even vote in local elections! Is All This About to Change? Unfortunately, the Slovak parliament has just introduced a bill which would do away with dual citizenship. In fact, according to an article in a Slovak daily newspaper, there is some chance the law would be retroactive and threaten Jana’s (and Max and Elisabeth’s?) Slovak citizenship. Update: Both the Hungarian and Slovak laws passed today but the Slovak law does not revoke citizenship from those who have gained dual citizenship as a result of birth or marriage. Also see this informative WSJ blog entry. Why is Slovakia all of a sudden changing its position on dual citizenship? The answer is found in the both current events and over 1,000 years of history. According to the latest news coming out of Slovakia, a law being considered in the Hungarian parliament has been raising a ruckus between the two countries. This Hungarian law would offer anyone of Hungarian descent who speaks Hungarian the opportunity to receive Hungarian citizenship, even though they were born, raised, and have always lived outside the country. Hungary has expatriates in Romania, Serbia, Croatia, Slovenia, Austria, Romania, Ukraine, and Slovakia. 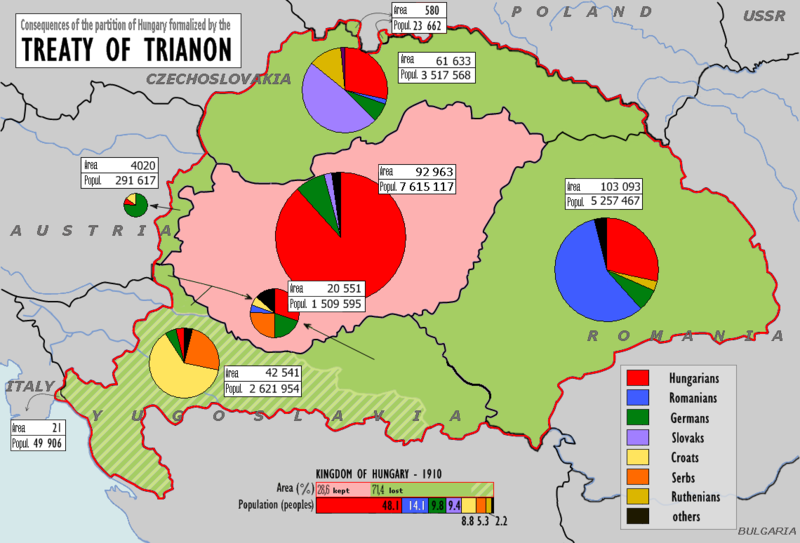 In fact, by some estimates, almost 10% of the population of Slovakia is of Hungarian descent. The Slovaks are not fond of this proposed law (which is being voted on tomorrow, May 26th) and so they have proposed a new law to counter the Hungarian law. The Slovak law would automatically revoke the citizenship of anyone who becomes a citizen of a foreign country. Talk about killing an ant with a sledge hammer! Why are the Slovaks so upset? Why these drastic measures? After all, the Hungarian law is apparently within all current European Union guidelines. From the viewpoint of some Slovaks this was like 1,000 years of oppression. During certain periods they accuse the Hungarians of implementing programs of genocide or ethnic cleansing. These were periods of Hungarian cultural imposition called Magyarization (the Hungarians are also known as Magyars). 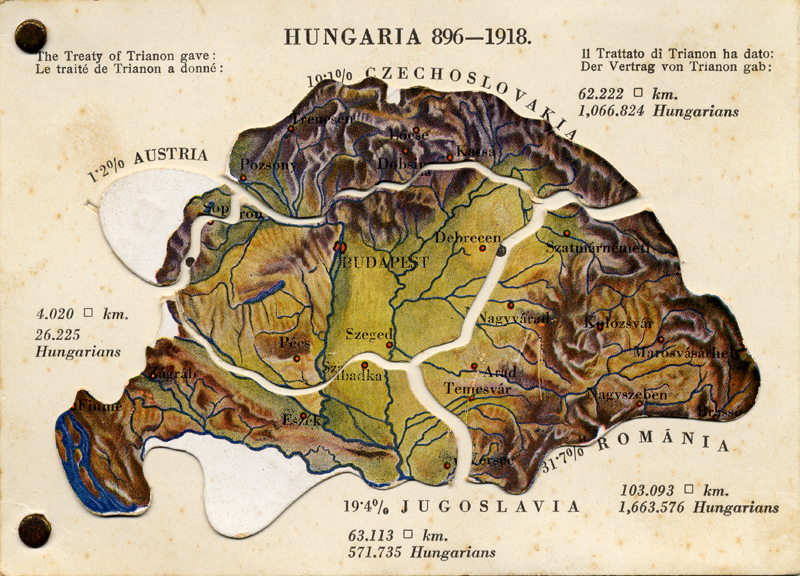 It wasn’t until after World War I and the 1920 Treaty of Trianon that Hungary’s borders became what they are today. Politically, these borders represent an attempt to surround Hungary with nation states that were traditionally subjected to, or at odds with Hungary in order to provide a balance of power in the region. After World War II these borders were reinforced. 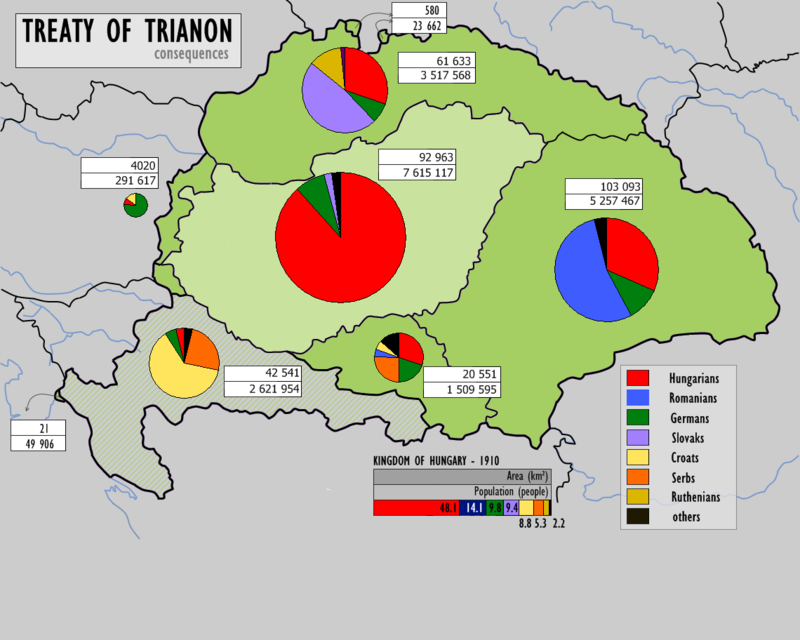 From the Hungarian perspective, you can see why they would like to grant citizenship to those that they consider their “rightful citizens”–Hungarians expatriated by these arbitrarily drawn borders. In fact, there’s a certain degree of likelihood that these people may have faced some opposition or even oppression of their own as a result of finding themselves all of a sudden in a country hostile (or at least bearing somewhat of a grudge) to their native land. Also, there are some extreme political parties in Hungary that have it as a part of their platform to restore the Hungarian Kingdom to its “rightful” borders. Now you can see why Slovakia is leery of this latest move on the part of the Hungarian government to grant citizenship to its expatriates. Slovakia sees this as an erosion of its sovereignty. Some extreme political parties in Slovakia even see it as the first step in Hungary’s nefarious plan to restore its original borders. And now we’ve come full circle. Here we are caught in the middle of a 1,000 year old historical feud between two ethnic groups. It’s kind of scary to realize how minor our situation is compared to what people have faced throughout history when political leaders are given room to exercise their ambitions. I hope this will not affect your returning home to Slovakia! No, not at all. The laws both passed but don’t affect Jana or the kids because they acquired their US citizenship as a result of marriage or birth. I should have made that more clear in the post.